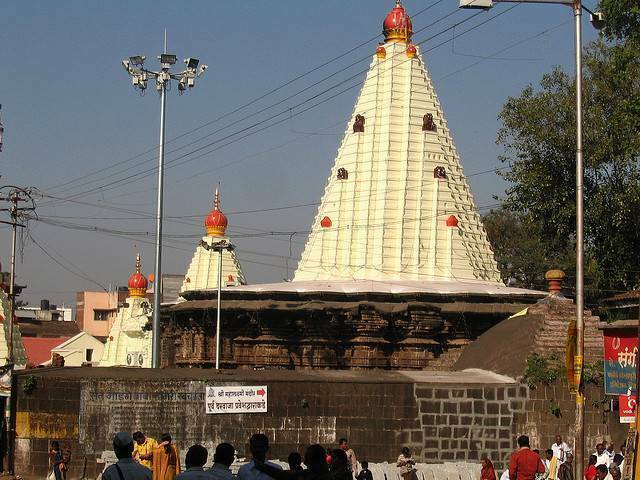 Mahalaxmi Temple situated next to Shri Amba Bai Temple at Kolhapur is one of the Shakti peeths, which is mentioned in a number of Hindu epics. The Mahalaxmi shrine is also known as Dakshin Kashi. The temple was made during the rule of King Karandev of Chalukya dynasty in 7th century AD. The temple has been made with the ancient 'Hemandpanthi' architectural style, which attracts art lovers from all over the world to visit this site.The idol of Goddess Mahalaxmi is unparalleled, weighing over 42 KGs, the idol is studded with gold and diamonds.The idol of goddess addressed as Swayambhu. The temple witnesses a major rush of devotees during the navaratris and kiranostav.